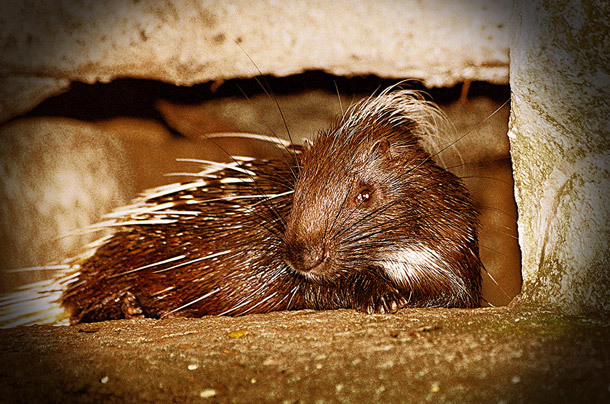 Malayan Porcupine is a rodent that goes by (Hystrix brachyuran) Himalayan Porcupine. They have barbed quills on their back. Lifespan of this oddly beautiful creature is roughly 20-27 years and their lifespan purely depends on the environmental conditions where they live. 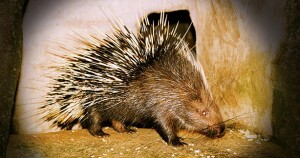 Malayan Porcupines weigh upto 1 to 1.70 kg. They have reach upto 80-85 cm distance. Malayan Porcupines are shy nocturnal, who prefers searching food during the nights and they are rarely found during the daytime. In fact, Malayan Porcupines are rodents which are spread across many parts of the world. The gestation period for Porcupine is 112 days. Distribution: India, Nepal, Malaysia, Vietnam and many other Asian regions. Habitat: At the high altitude from the sea level, ability of creating burrows allows them to survive in many conditions. These burrows keep Malayan Porcupines safe from the sunlight. They are largely inhabitants of forested areas. Diet: Porcupines love consuming salty things. These lovely rodents have sensitive sense of smell. They eat roots, Insects and fallen fruits. Khao Kheow Open Zoo exhibits varieties of Malayan Porcupines. This is your chance to make your Journey a memorable trip and experience of a lifetime. Explore journey to the jungle with various rids, animals and rodents.